Welcome to Cancer Care, a magazine for anyone touched by cancer. 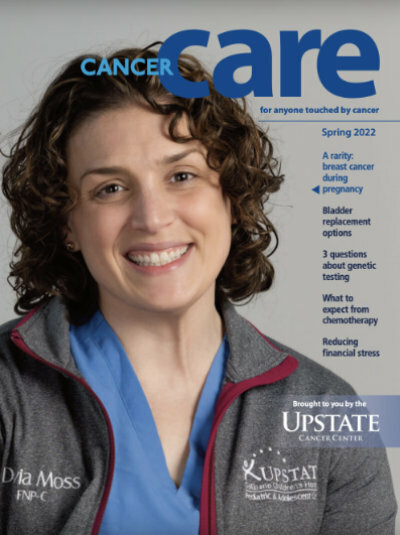 You will find stories about how the experts at the Upstate Cancer Center are caring for patients and searching for cures. Subscribe to receive our printed publication in the mail or the electronic version via email. Last Modified: February 11, 2019. Contact Darryl Geddes with questions about the content of this page.